The walleye bite continues to be amazing! 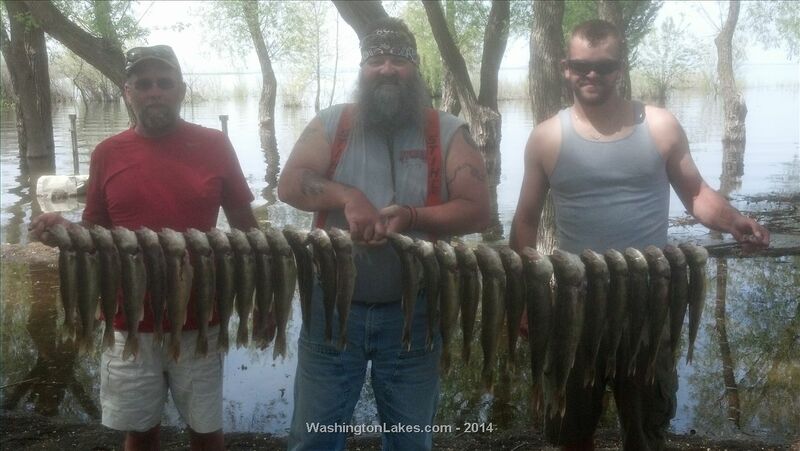 Thursday was the toughest day in a week and the only day we did not catch a limit, ended up with 30 (2 short). Lind coulee is still producing limits but the fish tend to be smaller with lots of 12-15" fish.Crab creek has been the go to spot for most but Goose Island, the state park, and the dam are also producing and it is far less crowded. Sunday was one of the best days of fishing I can remember. Took off for day 2 of the walleye tournament at 6am and fishing with my lovely wife as a partner we had 6 fish in the live well and began culling at 630! Ended the day with 50 fish caught and our 6 fish bag over 17 pounds. Monday's bite was just as hot, caught 25 with several going 20-24". Slow death and macks smile blades are producing most of the fish. I have scattered openings in the next two weeks. 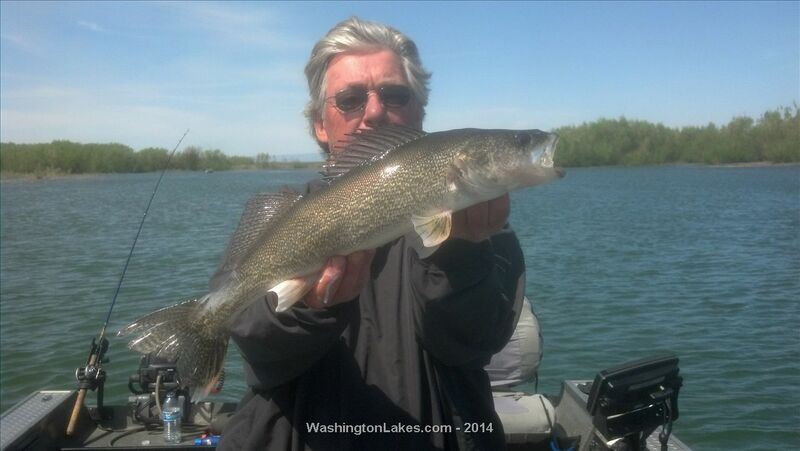 Get here and enjoy some of the hottest walleye action ever!